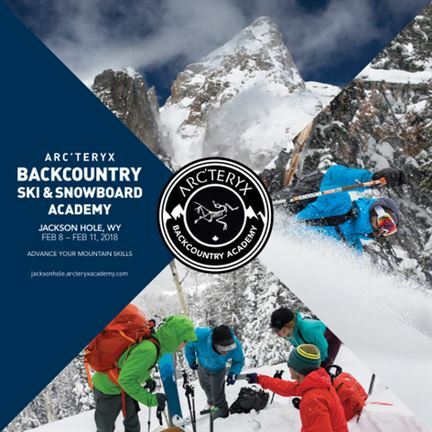 Backcountry skills clinics are already filling up at the Backcountry Ski & Snowboard Academy, February 9 to 11 at Jackson Hole, Wyoming. Created by Vancouver-based Arc’Teryx the weekend event includes more than 50 courses in mountain skills ranging from steep skiing to crevasse rescue. The clinics are taught by a combination of sponsored Arc’Teryx athletes – including Greg Hill, Christina Lusti and Eric Hjorliefson – and local professional guides from Exum Mountain Guides, one of the oldest guiding companies in North America. Clinics range in cost from $50 to $400. In addition there are free seminars related to backcountry skiing including neutron and GPS navigation.